Welcome to a wide array of useful amenities at Clarion Hotel Portland International Airport. 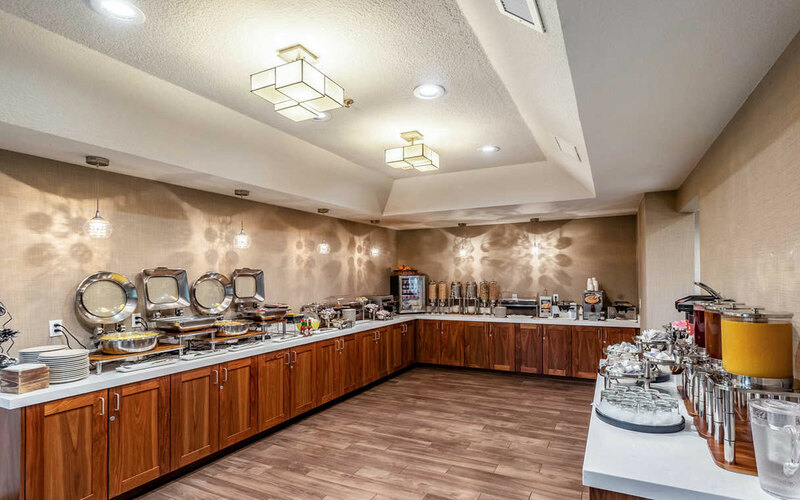 We offer a free hot breakfast buffet, free wifi and free airport transportation and also feature a fitness center and indoor heated pool. In-room amenities designed with your needs in mind include plenty of space plus a microwave, refrigerator, television, hair dryer, iron with ironing board and more. We even offer some lake view rooms. Why not book one room or several for one or more nights and experience the Clarion Hotel difference? From the moment you arrive, you'll know you're in the right place for comfort and value along with excellent convenience. This website is owned and maintained by Clarion Portland International Airport, a licensed user of certain proprietary trademarks and service marks of Choice Hotels International, Inc.